Don’t miss this amazing event on May 4th! 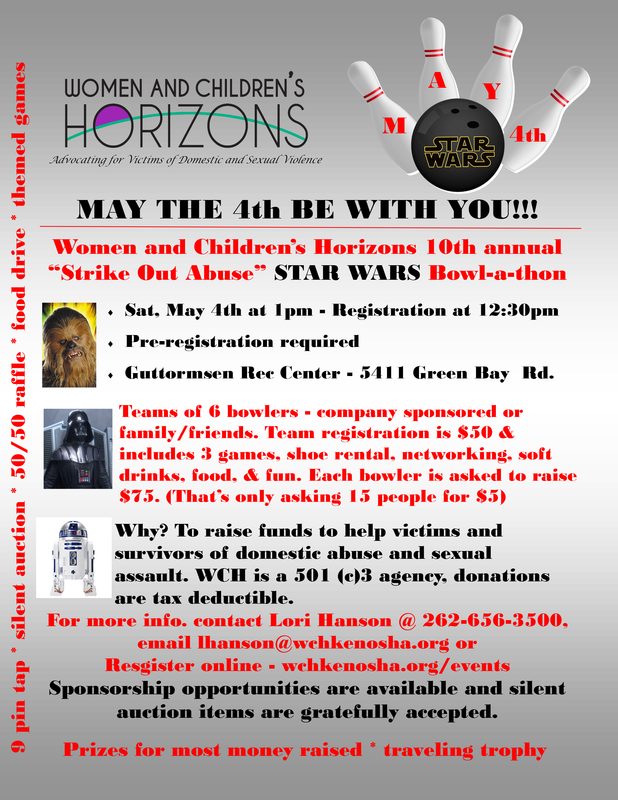 Join us for the Women and Children’s Horizons 10th annual “Strike Out Abuse” STAR WARS Bowl-a-thon. Why? To raise funds to help victims and survivors of domestic abuse and sexual assault. Sponsorship opportunities are available and silent auction items are gratefully accepted. Help support the Women and Children’s Horizons, Inc and pre-register today! For more information, contact Lori Hanson @ 262-656-3500, email lhanson@wchkenosha.org or register online.